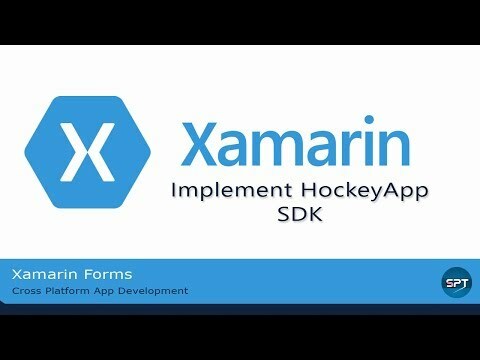 does any tutorial for integrating a Xamarin.Forms App with HockeyApp exist? Same here, why is this thread set to answered btw? Could not install package 'HockeySDK.Xamarin 4.1.0-alpha2'. You are trying to install this package into a project that targets '.NETPortable,Version=v4.5,Profile=Profile111', but the package does not contain any assembly references or content files that are compatible with that framework. For more information, contact the package author. Now that Microsoft owns Xamarin, and the Insights team is getting rolled into the HockeyApp group, I think we'll eventually get full Forms integration. For now, I'm going to go the Dependency Service route. Nothing "automated" AFAIK, but we do upload manually without issue. I'm doing the Hockeyapps settings with Xamarin forms . You have some sample code to provide this integration with Dependency Service? Thank you. I went down the DependencyService route. It worked when I added it, but the functionality when I did it wasn't as good as Xamarin.Insights (which I already had integrated). As HockeyApp and Xamarin.Insights are being merged, I haven't been in a hurry to spend more time on it. The functionality may have improved since, but I haven't checked back yet. However, I would assume that unless it has already changed dramatically, it is still necessary to use a DependencyService. Evolve 2016 had a session on HockeyApp, so it might be worth checking that to see how it was done there (I was listening, but multi-tasking, so missed the detail). I am using Xamarin.Forms. I tried installing the sdks from nugget to my iOS project. So we figured this out in Xamarin.Forms usind Dependency Services. I've written a quick blog post on it. As of now, it's focused on Android, but the concept for iOS is identical. Hope it helps! Just using "Get more components" for installation of HockeyApp is enough to make HockeyApp's Update-Check and other features work? Is there a different between the components install and the Nuget install of the SDK? I'm not using the Update App capability and am trying to remove the WRITE_EXTERNAL_STORAGE permission as per their docs but it's not working for me. Even when I use the tools:node="remove" attribute I get the permission in the final output. @GavinBauman you agree that your solution is for Android but the same principle can be applied for iOS. But there is no 'HockeyApp for iOS' component. Some time in May 2016, Xamarin conducted a Twitter contest for the Evolve 16 Mini-Hacks. In that I did use HockeySDK.Xamarin NuGet Package, of course in a Xamarin's Mono.Android project. Since this package's description doesn't mention being 'Android only', I assume this should work for Xamarin.Forms. I have not tried it yet. But someone could try it and present the results here. But there is no 'HockeyApp for iOS' component. Ah...I was just following what was in the blog post mentioned by @GavinBauman . There I didn't find one. Yes, in Xamarin's component store it is there. Then why was it not shown in the Add component in VS? It demonstrates calling the HockeySDK metrics service within the Shared Project from a Droid, iOS, UWP, Windows 8.1, and WP 8.1 project. It describes the configurations and initialization that must be done in platform specific projects using the respective bindings sdks.